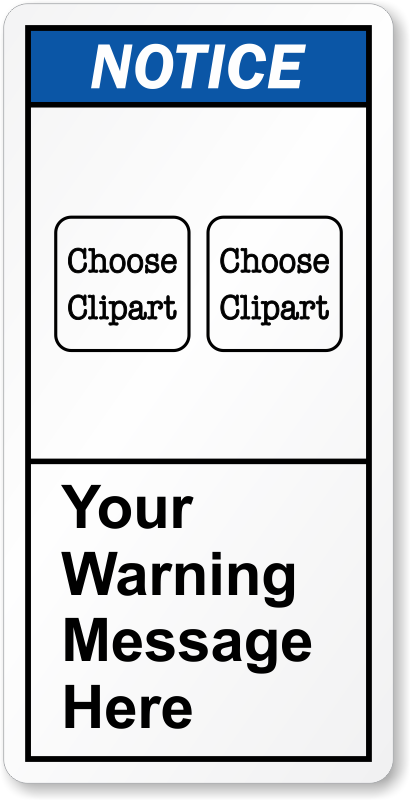 A custom label is often most effective in that you can give exact and credible instructions. 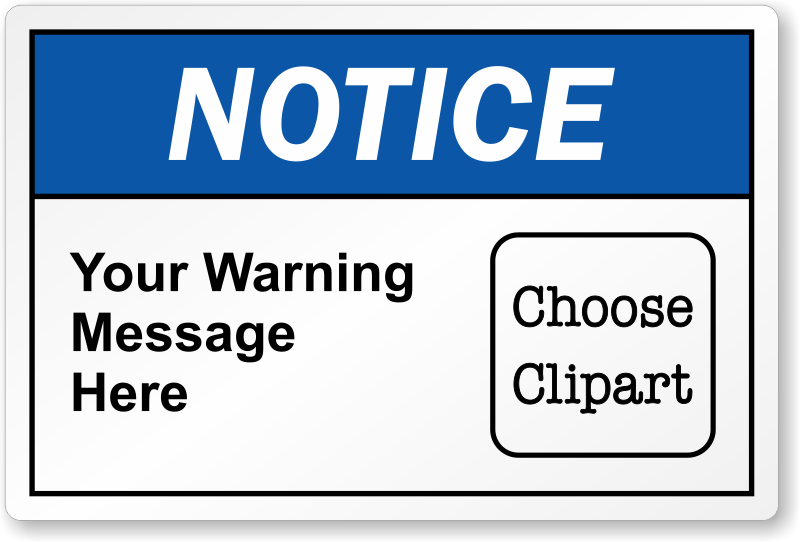 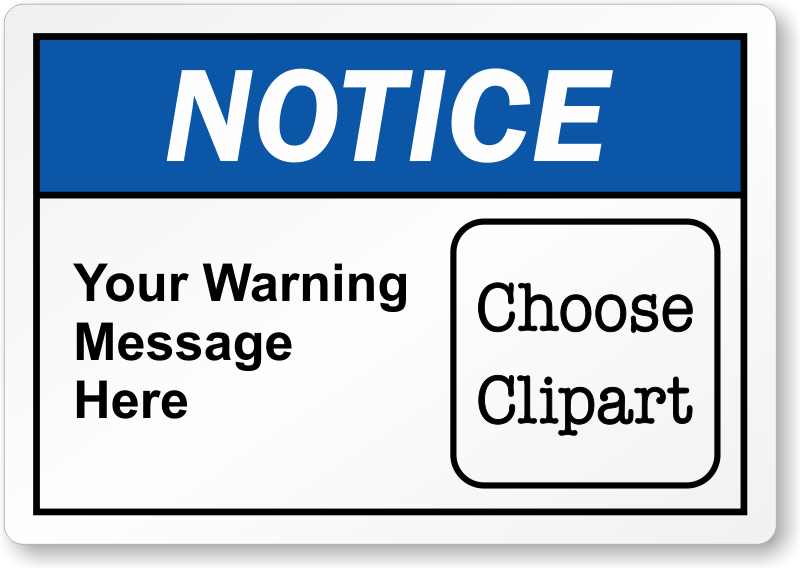 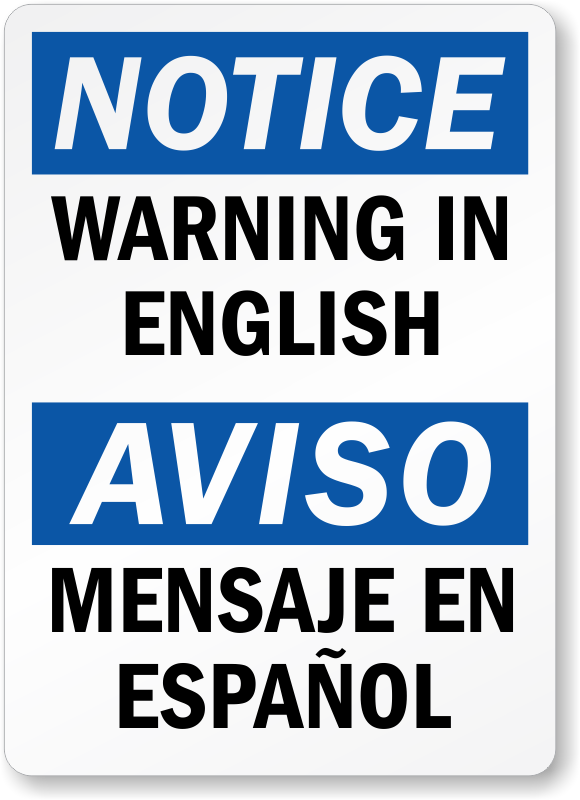 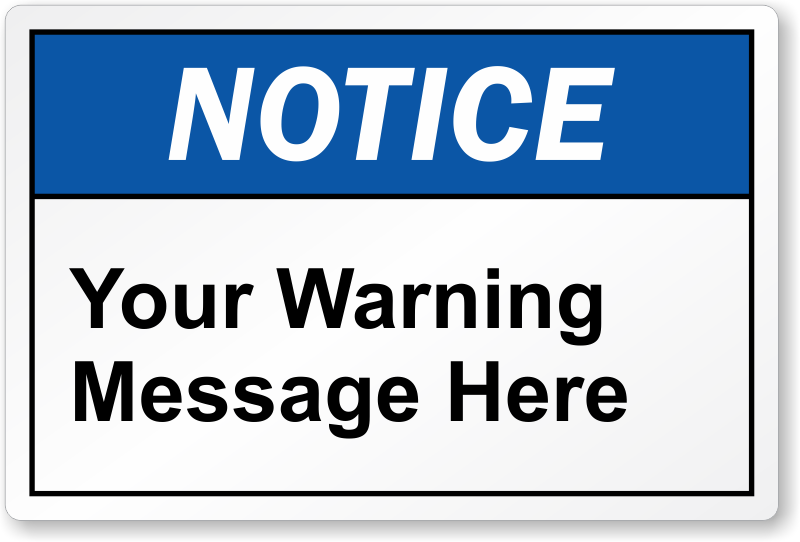 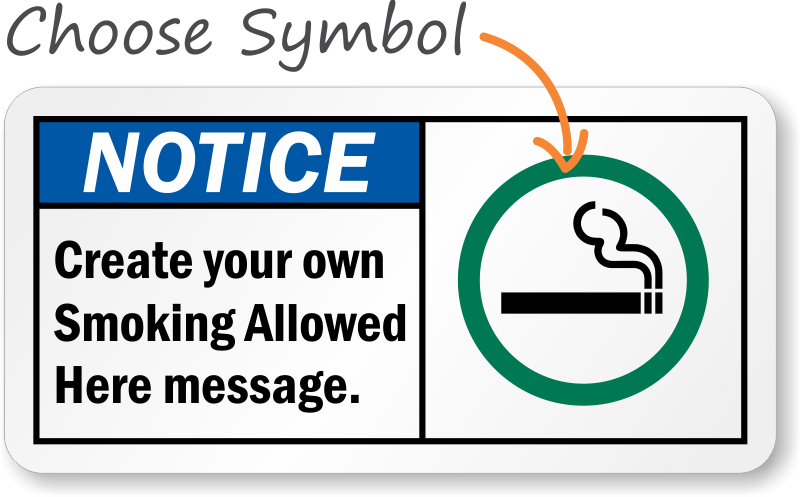 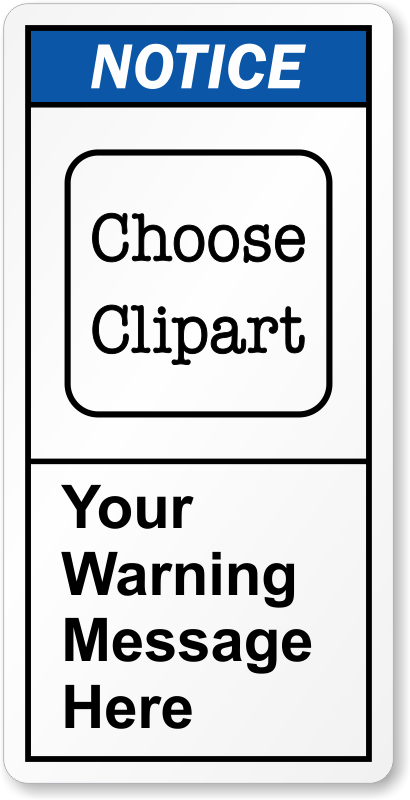 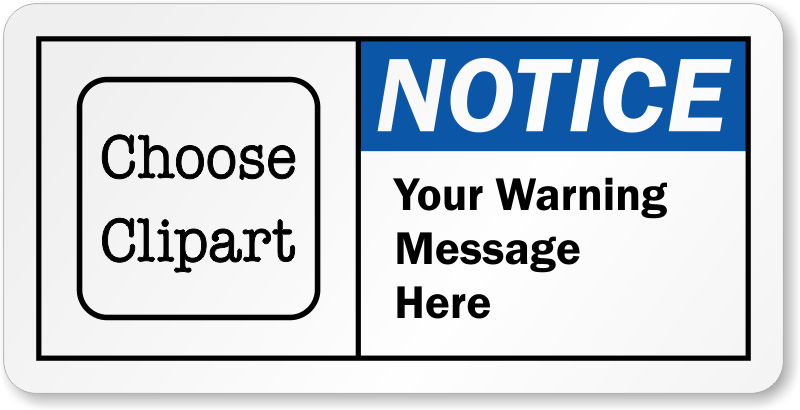 Our Custom Notice Labels let you display important information where "warning" or "caution" signs are too severe. 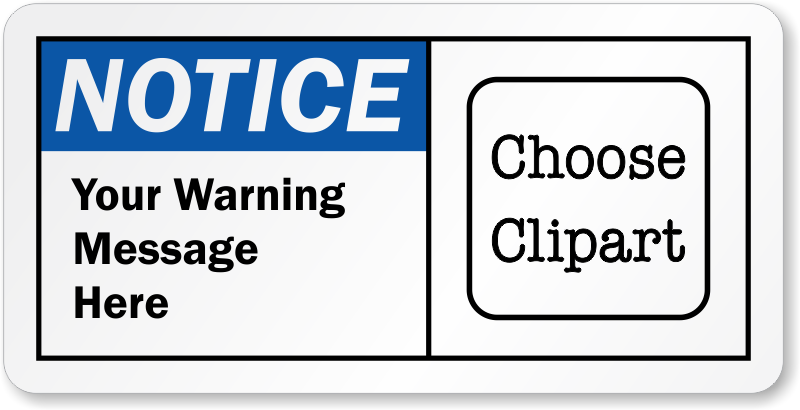 These versatile labels are ideal for all kinds of areas that warrant attention - and a reminder. 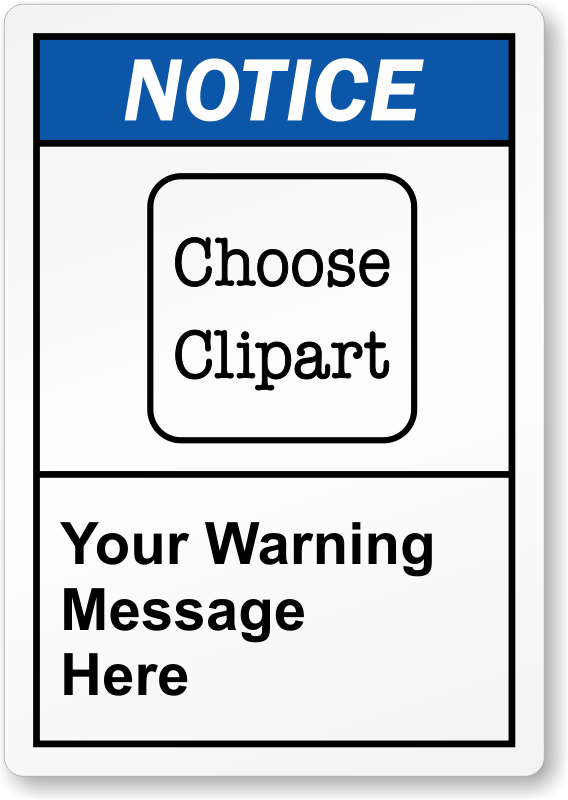 Choose from templates with bold ‘Notice’ headers, bilingual text, labels with clipart or just plain text. 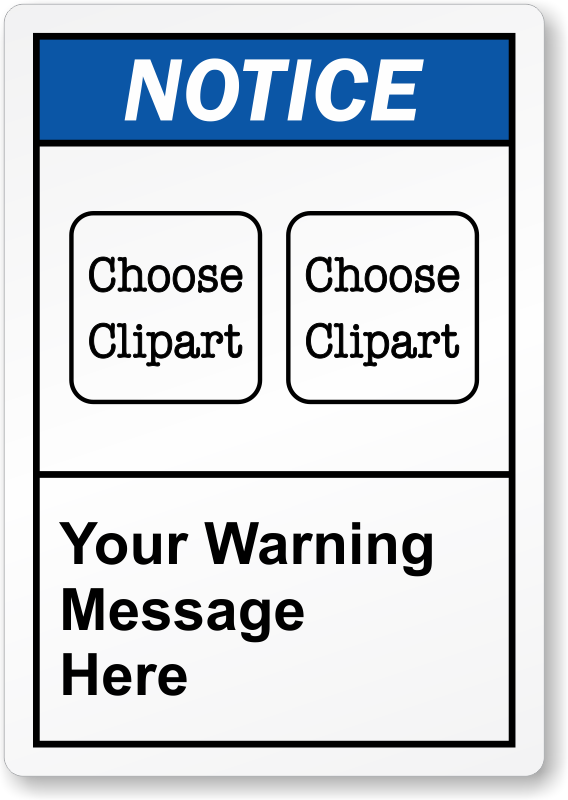 Create your personalized design online in minutes, and you are all set to order your customized label! 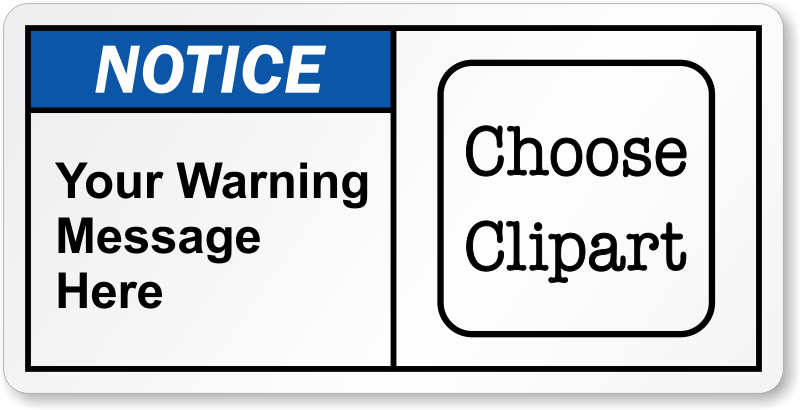 • Tear-proof labels can be applied indoors or out. 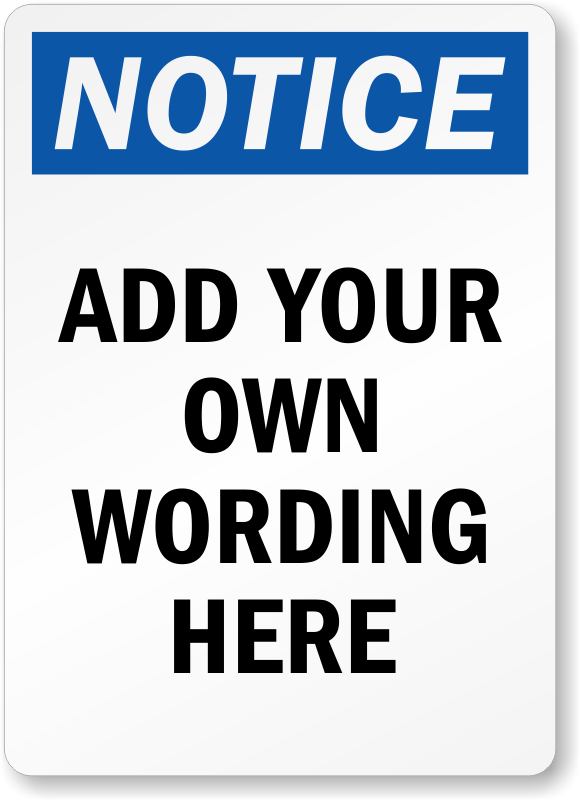 • Several material and size options available. 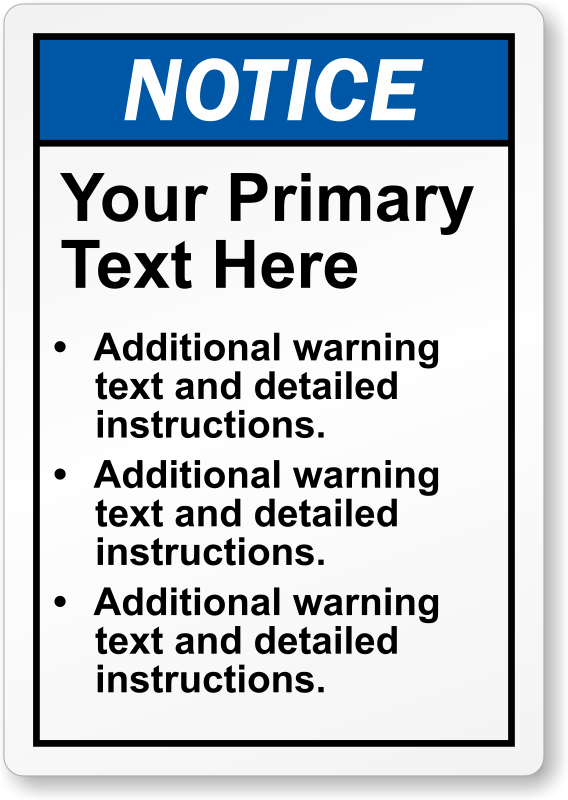 • Get Custom Notice Labels that are 100% compliant with OSHA regulations. 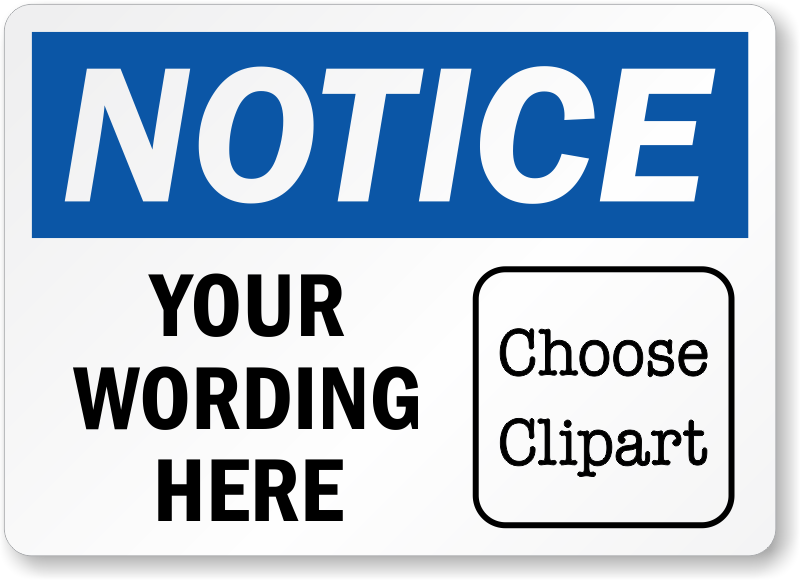 Hover your mouse over any of our products below for detailed specifications. 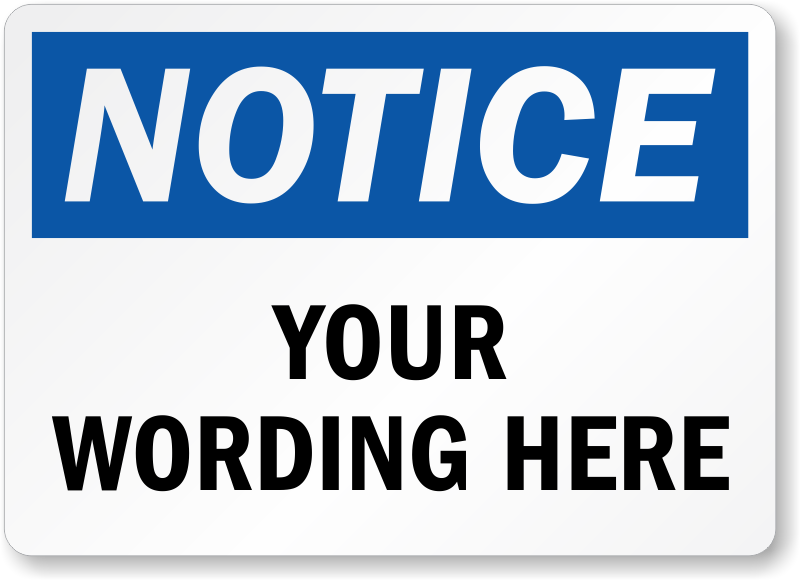 Queries? 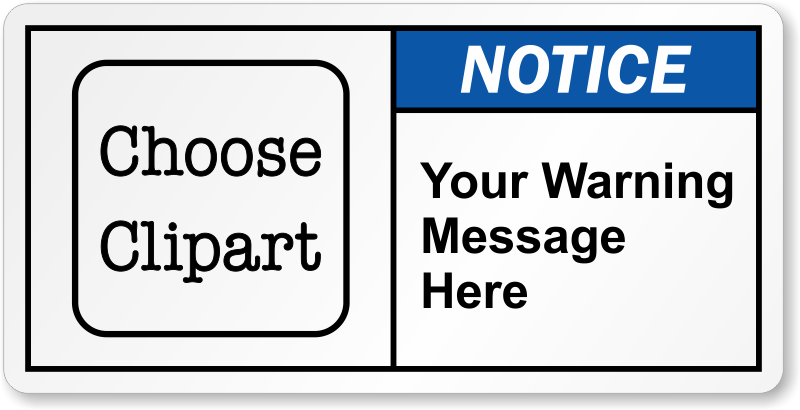 Our live support team is there to help you out.